Posted at: 10/17/2011 09:47:00 PM . 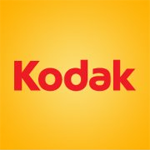 Through October 23, 2011, Kodak is offering 20 free prints from a Kodak Picture Kiosk. On Kodak's facebook page, just select your local retailer and you'll be guided to the correct coupon. I'm not sure why, but Target is the only store that is requiring a purchase of five prints before the 20 free.